Looking forward to attending my first Bouchercon. Hope to see a few people I know there, and get to know a lot more. Andrew Jetarski’s Dance Man was recently nominated for a 2014 Derringer Award in the “Best Long Story” (4,001–8,000 words) category. Dance Man is a part of the Last Exit To Murder Anthology published by Down & Out Books, and is available for sale on Amazon.com. The full list of nominees is available here on the Short Mystery Fiction Society site. Dance Man puts a small town P.I. on the trail of someone who thought he was too clever to get caught. The annual Derringer Awards were established by the Short Mystery Fiction Society (SMFS) in 1997 to honor excellence in short mystery fiction fiction. The name “Derringer,” was selected as the palm-sized handgun, seemed an apt metaphor for a short mystery or crime story. From the Low Riders that nightly cruise the Sunset Strip, to the infamous Dead Man’s Curve immortalized in song, Southern Californian’s fascination with their cars has long been the fodder of legend and has defined a culture known for its fast-paced and sometimes reckless lifestyle. 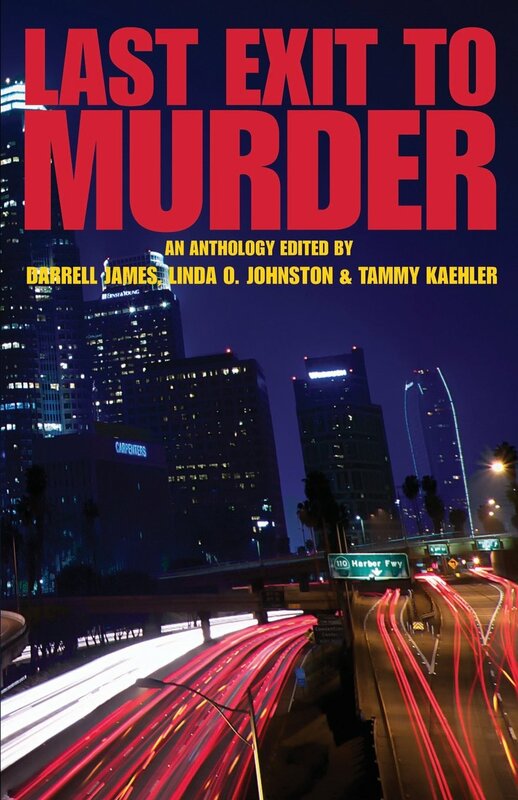 Now, sixteen tantalizing stories from L.A. authors takes us on a Joyride through the darker streets of Los Angeles. At the signpost, just ahead, your… LAST EXIT TO MURDER.